Currently viewing the category: "Wal-Mart"
First came dual flush toilets — a pretty ingenious idea for saving water — then about a year or so ago somebody came up with the idea of a dual flush conversion kit for your existing toilet but priced it so high your grandchildren wouldn’t live long enough to see any payback. Today we noticed MJSI sells a conversion kit that doesn’t cost much more than just replacing your toilet’s guts would anyway. I just came back from my annual stocking-stuffer trip during which I noticed that Wal-Mart is selling a Stanley Tool Box combo for $9. The first tool box is a Stanley model 19151. I could not find that specific number on the web, including on the Stanley site, but their model 19013, shown above, appears to be almost identical: plastic, approx. 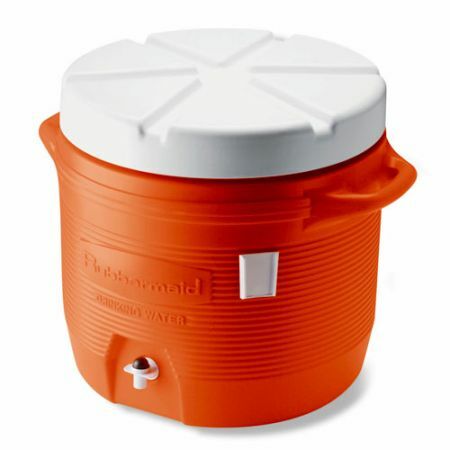 19″ × 10″ × 9″ with a removable tool tray, two built-in organizers on top, and two metal latches. 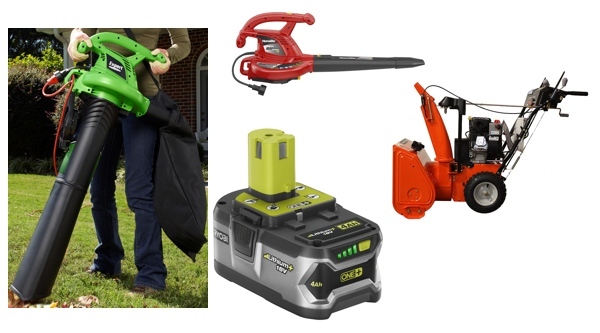 Wal-Mart’s combo puts a Stanley model 13004 (approx. 12″ × 5″ × 5″; simple plastic box with plastic latch and no tool tray) inside the model 19151. The label on the combo said “made in the USA with global materials.” Just so no one is confused by the picture, the tools and parts are not included. Maverick of Maverick Solar put the IkePak together to help his son after Hurricane Ike. He did not spend time doing extensive calculations, but just used what was readily available — he runs a solar energy company, so he probably has a few relevant things available — or easily obtained at the local WalMart. 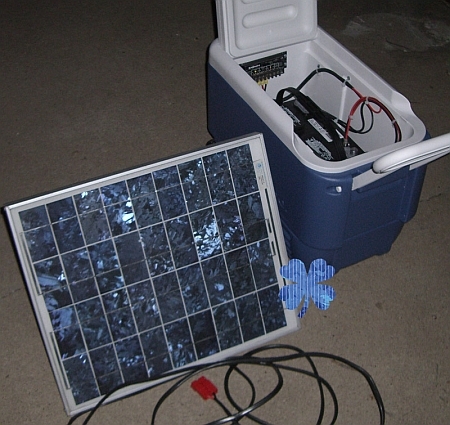 The wheeled Igloo cooler holds a marine battery, a 400W inverter, a solar charge controller, an inline fuse for protection, and most of the wiring. It provides enough power for a few CFLs, a small TV, and a cell phone charger. The total cost was ~ $360; the most expensive item was the $175 20W solar panel. Additional pictures and details are the link below. 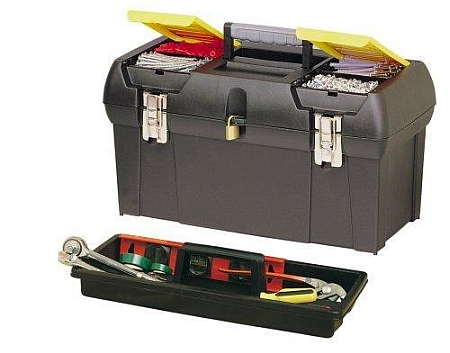 We’re not suggesting that you get rid of your Craftsman, MAC, or Snap-On box or anything, but if you’re looking for an inexpensive roll-away tool chest for yourself, your son/daughter, or a friend, Wal-Mart may have your ticket. We were out looking for just such a beast last week and came across the one pictured here for $68.98 + tax. It doesn’t have the same fit and finish as the name brand boxes we have in the shop, but then again the cheapest comparable Craftsman we’ve seen is the 12-Drawer Combo in the latest Craftsman Club flyer for $179.99. 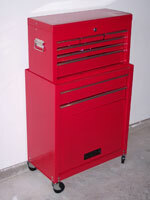 So, if you’re strapped for cash and still need a place for your tools, it’s something to consider. Though we can’t provide you a link (as Wal-Mart doesn’t list their auto stuff online), we can tell you that we came across a set of two 2-Ton jack stands at Wal-Mart today for $9.83.